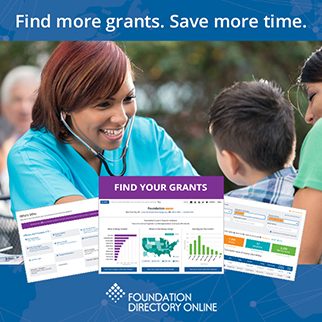 We recently enhanced Foundation Directory Online grant records by adding three new fields: fund name; fund type; and program name. These fields, which are part of the grantmaker info section in the grant record, lets us list some further information on how the grantmaker has classified the grant. So how does this enhancement benefit you? It bolsters the power of your grant keyword search by offering additional fields where those keywords appear. Just search for the terms that you use anyway — describing types of awards like 'donor-advised' or 'discretionary,' for example, or describing areas of interest like 'arts & culture' or 'research' — and you can potentially get more grants in your results list. Besides the fields where terms like that might currently appear — our Subject and Recipient Type codes and the Grant Description text, where available — these three new fields offer additional text that FDO searches. This enhancement currently applies to over 102,000 grant records in the database, a number that will only grow as we add new grants. Any subscriber to a plan level that includes the grants database — Plus, Premium, Platinum, and Professional (including Power Search) — can take advantage just doing the keyword searches you're already using.